This year, 2009, marks the 100th anniversary of Ss. Cyril & Methodius Ukrainian Catholic Church in Berwick. To mark this wonderful occasion, a number of events were being planned. The inauguration of our centennial celebration took place on Sunday, January 4th, 2009, at the parish Christmas dinner. A spring concert and open house was held on Sunday, May 17th and a picnic on Sunday, July 19th, 2009. 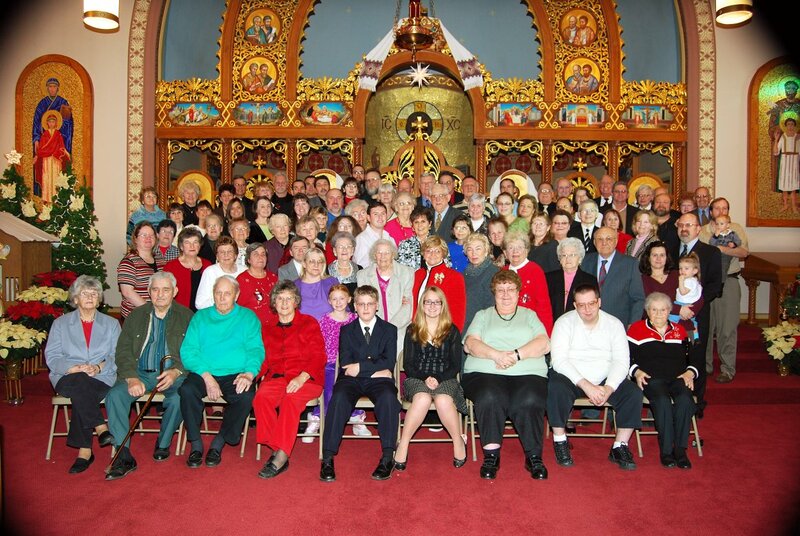 Plans are currently being made for a Jubilee Divine Liturgy and banquet dinner Sunday, October 18th, 2009. More details on the events can be found on the bulletin page. All parishioners, friends, and former students of the Ss. Cyril & Methodius Parochial School are invited to join us in this celebration. After our parish's Christmas Dinner on January 4th, parishioners posed for a group photo to be used in our commemorative Centennial Book.